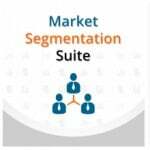 If you want to get full control over Magento emails, then you’ve come to the right place. Below, we describe the Amasty Magento 2 SMTP Email Settings extension – one of the most reliable tools for sending emails from a popular local hosting or a custom SMTP server. The full control over email settings is bundled with the ability to run tests before sending out the mail, so you will always know whether your customers and partners receive all the messages you send. Below, we describe the Magento 2 SMTP extension in the closest details. If you are looking for a tool that will provide you with total control over Magento email sending settings, you’ve come to the right place. 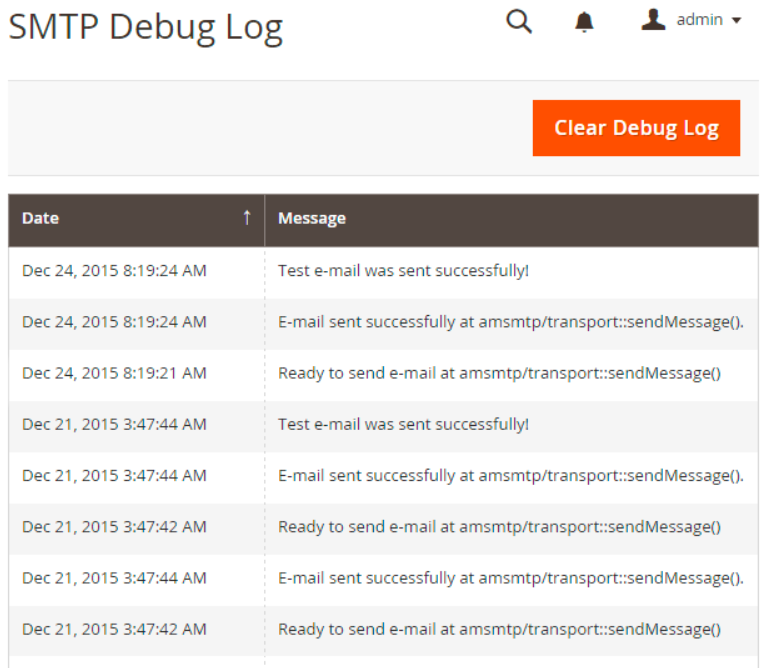 The Amasty SMTP Email Settings Magento 2 module offers advanced features to ecommerce merchants. Thus, you can easily create your own Magento SMTP server, as well as use predefined presets for 12 popular providers, including Gmail, AOL, Hotmail, Yahoo, Office365, and more. As for flexible Magento 2 email sending settings, they allow you to configure such parameters as host and port, as well as define parameters for authentication and connection and use autofill function. The debug mode allows testing all settings. As a result, you can easily find bugs without even sending any emails. When enabled, the Magento 2 SMTP extension emulates the work of the Magento 2 email SMTP server recording all the necessary information into the log. Thus, all mistakes can be discovered in the log, and your customers won’t face any troubles related to your emails. Note that the log is cleared automatically, but you can run the procedure manually as well. 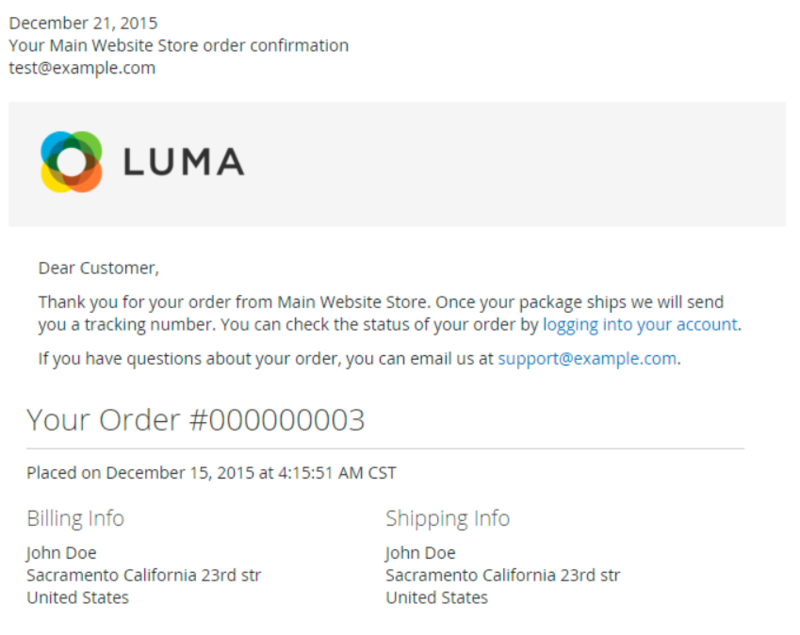 As for a log with all email messages sent from your store, it allows admin users to view message details and content. Date, subject, recipient email, and status are displayed right in the grid. As for possible email statuses, they are: Successfully Sent, Pending, In Process, or Failed. Let’s see how the module’s main settings are configured. The Configuration page is divided into three tabs: General Settings, SMTP Configuration, and Automatic Log Clearing. In General Settings, you activate SMTP, select whether to log the emails sent from your website, and enable/disable debug mode and email delivery. Last two settings are useful for emails dispatch testing. 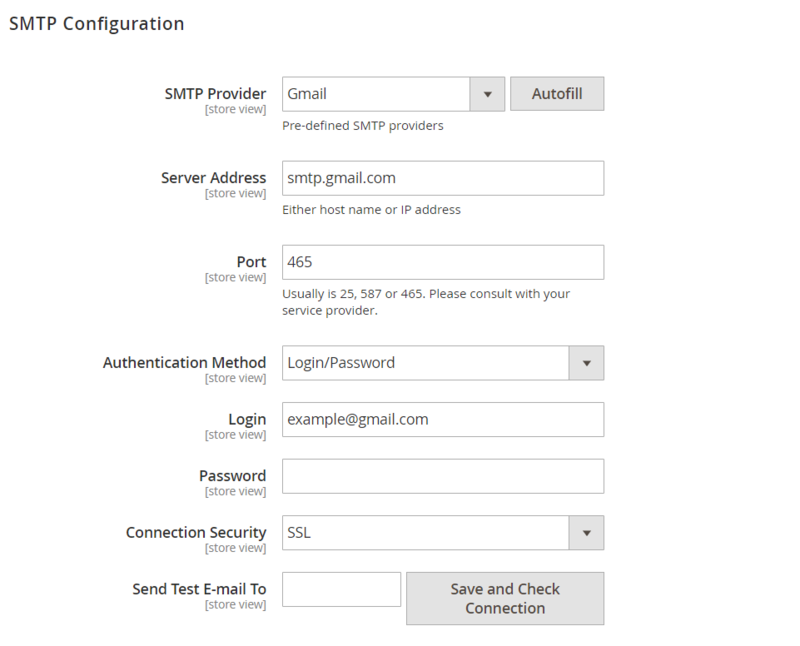 In the SMTP Configuration tab, the Magento 2 email settings extension lets you choose your SMTP provider, specify server address, port number, authentication method, login, password, connection security, and address for sending test emails. Here, you can also use Autofill option for filling in some data related to the selected SMTP provider automatically. To see if everything works correctly, click on the Save and Check Connection button. 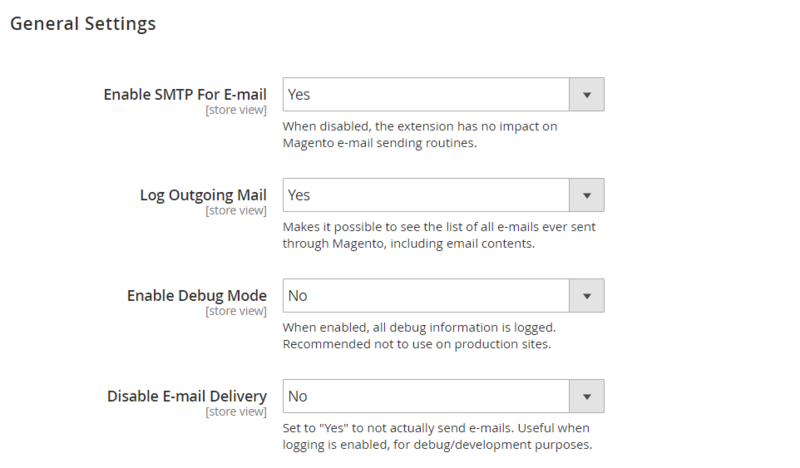 For making both debug and sent email logs more convenient and compact, the Magento 2 SMTP email settings extension lets you choose a period after which all old records are removed for both Sent Emails and Debug logs. The detailed list of all emails sent from your store with the help of the Magento 2 SMTP extension by Amasty is available in a grid located under Reports → Amasty SMTP Email Settings → Sent Emails Log. When you have some emails sent from your website, the grid will display email subject, dispatch date, recipient address, and status of each message. Another important feature provided by the extension is the ability to preview the content of each email message right from the backend. The Magento 2 SMTP module allows doing this with just a few clicks (click View in the Action column). New option: an email sender can be replaced now. 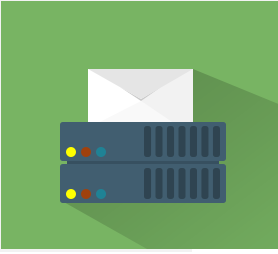 With the Magento 2 SMTP extension by Amasty, you get total control over your emails. 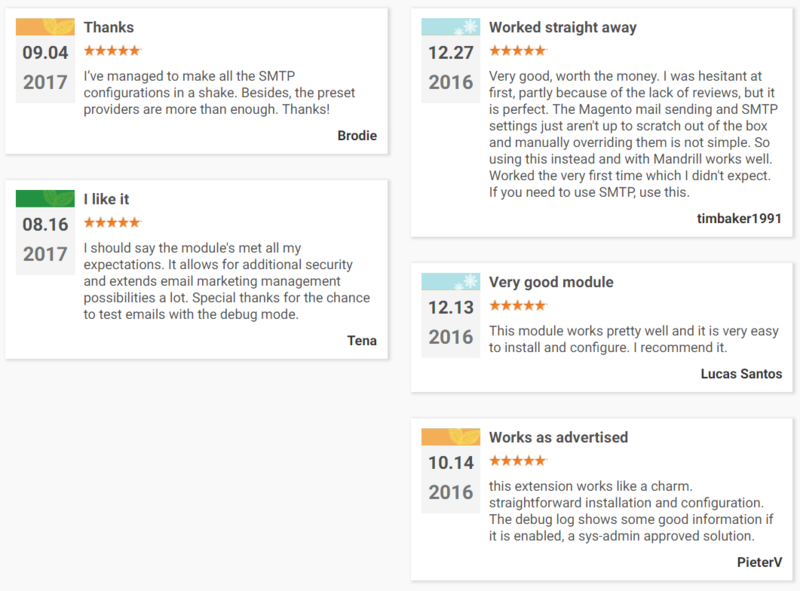 Magento 2 Gmail SMTP configuration is only one of dozens possible options offered by the tool. As for the price, the M1 module costs $79, while for the M2 extension, you will have to pay $259.